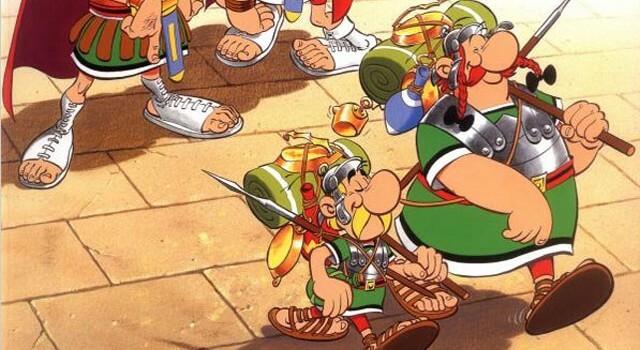 Fred McNamara continues his Asterix retrospective with a look back at the tenth entry in Rene Goscinny and Albert Uderzo’s popular series. If Asterix the Gladiator is the oldest Asterix comic in my collection, then Asterix the Legionary is surely the second oldest. The seventh book in Rene Goscinny and Albert Uderzo’s adventures of the plucky Gaul, Asterix the Legionary follows just about exactly the same plot set-up as Asterix the Gladiator. Both books concern a member of the village where Asterix and his friends live being captured by the Romans, and Asterix and Obelix must rescue this person via joining some form of group. In this novel, Asterix and Obelix join the Roman army in an attempt to rescue Tragicomix, the lover of village crumpet Panacea (that’s one thing you can always count on in Asterix comics – brilliant names!). But hark, I hear you cry dear reader! Does the identicalness in plot mean that this title can easily be frowned upon as lacking in imagination? Well, kind of, but Asterix the Legionary packs in more laughs than any of the early Asterix comics. Even without my rose-tinted glasses on, Asterix the Legionary is a fine addition to the Asterix adventures – let’s look at why, shall we? One thing you notice about Asterix the Legionary, especially when compared to Asterix the Gladiator, is that Legionary has a far greater scale to its story than Gladiator. 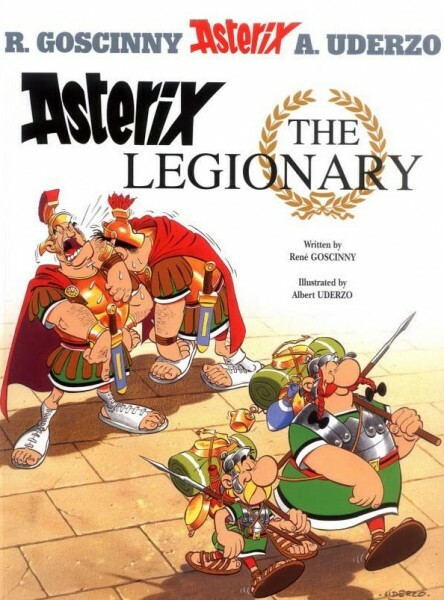 Legionary sees Asterix, Obelix, and a ragged bunch of foreigners scramble all the way to Africa as trainee Roman soldiers in their hunt for Tragicomix. That wonderfully grand sense of adventure translates well in the story, but Uderzo’s depiction of African landscapes appear somewhat bland, and really show nothing more than slabs of empty desert. But as mentioned, the story brings the adventure to life here, to the point where Legionary’s similarities to Gladiator are more than forgiven due to Legionary really being a better version of Gladiator. The laughs in any Asterix comic are vital, and plenty of those laughs come from not just Asterix and Obelix’s training and exploits as Roman soldiers but of the others who train with them – a Belgian, a Brit, a Goth, an Egyptian and a Greek all try their hand at exasperating various Centurions with gleeful abandon. Bland-looking Africa aside (c’mon Uderzo, did you not have a few geography coffee table books at your disposal at all? 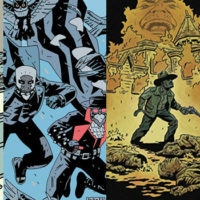 ), the rest of the comic bounces in its appearance. 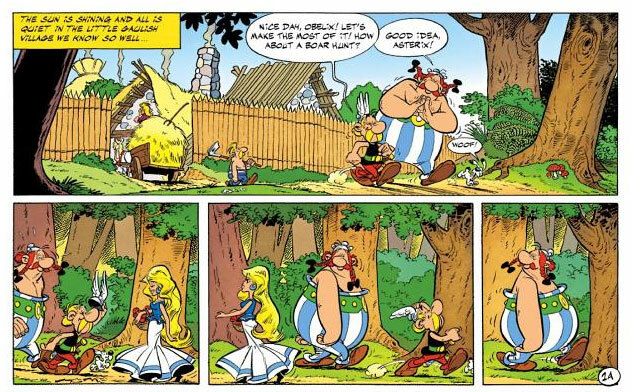 That’s always been one of my favourite things about Asterix comics – the artwork and the story go together in ways other writer/artist duos just can’t match. The scene where Asterix attempts to track down Tragicomix’s location in the Roman recruitment agency is positively side-splitting in its execution. Like any Asterix comic, there’s a happy ending for all – Asterix and Obelix rescue Tragicomix, and in doing so inadvertently give Julius Caesar a victory over an African rival, in-between several glorious bish-bash-boshes against various Romans. It’s strange that, given the amount of cameos Caesar gives throughout the Asterix series, he almost always appears on friendly terms with them, either admitting defeat in whatever shenanigans he and the Gauls get caught up in or granting them thank yous and favours for their actions. 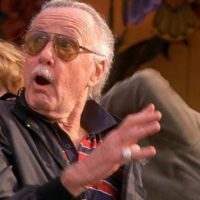 I mean, this guy is supposed to be the big cheese of his time, and the one little village that defies his iron fist is continuously treated as his on/off buddies? Okay maybe I’m reading too much into these – they are comics written for a young audience I suppose. But anyway! More than just a blatant copy of a previous title, Asterix the Legionary triumphs over past entries and stands as one of the wittiest and entertaining read in the Asterix series. The fact that my wobbly, A4 copy of the book has creases, smudges and tears on just about every other page is surely testament to, isn’t it? !